Terri Bowman is the founder of the Brain Wellness Spa and creator of Quantum Neuro Recoding (QNR). Before developing QNR – one of the world’s leading methods for relieving mental illness and improving brain behaviour – Terri was already passionately working with people to help them achieve their goals, dreams and desires. During this time, she discovered that when most people were forced outside of their comfort zone, they would contract and go into a negative spiral of doubt, fear, insecurities, unworthiness and many other self-sabotaging thoughts. This discovery led Terri to further investigate the psychology of change and begin trialling her hypothesis that changing perceptions and beliefs could be what was missing from the success equation. Despite these early discoveries, Terri’s passion still firmly lay with helping heal people of their mental health problems and helping them lead happier lives. After training in PSYCH-K and undergoing intensive study on the underlying causes of mental illness and how to create rapid positive change in the brain, Terri opened her first Brain Wellness Spa in Perth. Since then, Terri has opened a second spa and has now helped tens of thousands of people to overcome their mental health challenges and live happier, healthier lives. While Terri’s QNR therapy was achieving amazing results for clients and becoming a recognised world leader in the mental health space, she always held a strong belief that the same technology could be used to help people go beyond their current limitations and reach their peak potential. High achievers and people working in high pressure environments, such as entrepreneurs, athletes, executives, doctors and everyday people, could make rapid and dramatic improvements to their performance and results in every area of their life. To further refine and test her ideas around peak performance, Terri worked with players from the Perth Demons, under coach Andrew Jarman, for one season. Here, Terri made amazing breakthroughs and gained revolutionary insights into how to help athletes go beyond their current abilities and limitations, and operate in the zone of “Peak Performance” for extended periods without added stress or fatigue. The results from her time at the Perth Demons were amazing, which led to the development of Terri’s first three high performance programs – Peak Performance, High Achievers and Mastery. Collectively, these programs took a client over six months to complete. 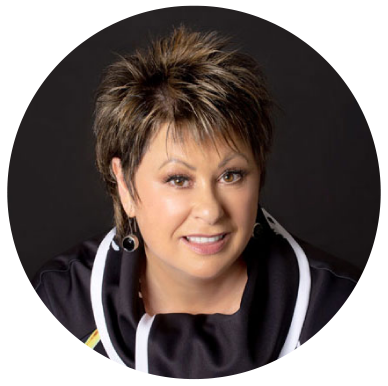 Through further trials and research, Terri continued to improve her peak performance programs, the end results being the merging of these three programs into one ultimate solution for peak performance and success – the Unstoppable You program. For the past four years, Terri withheld her Unstoppable You program from public release, as her focus remained on helping people with mental illness. However, in that time, Terri naturally completed the Unstoppable You program herself and improvements in every area of her life began to flourish. Most notably was the doubling of the Brain Wellness Spa’s revenue every year for the last three years, as Terri was free from the normal stress, anxiety and burnout experienced by many business owners. Over the last three years, Terri also trialled and fine-tuned her new, ground-breaking program with 10 private business clients. She meticulously tracked and measured results to prove its truly life changing success, before releasing the program to the wider public. In these trials, all 10 clients achieved outstanding and immediate advancements in both their personal and professional lives. With the Brain Wellness Spa now cemented as a leading mental health service in Australia, and the Unstoppable You program trials proving effective across a wide ranging audience, Terri is finally releasing her program to the wider public, helping people from all walks of life to unlock their true potential, eliminate self-sabotaging behaviours, perform at their best and experience massive improvements in their health, happiness, career, finances and relationships.